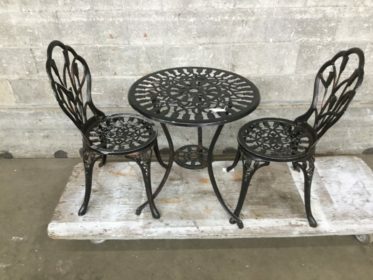 If you live in Seattle or Tacoma, you know that there is no luxury greater than sun… and no greater secondary luxury than a patio. 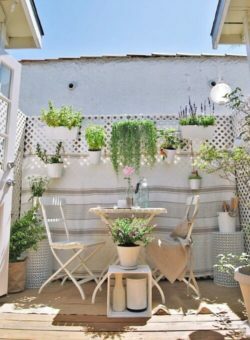 You’re lucky to snag a seat at a restaurant or bar that boasts an open air alcove- but why waste your cash and time catching rays in a crowded public place when you can create your own? 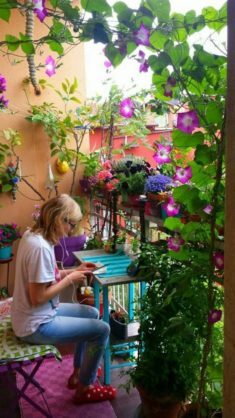 We’ve gathered some inspiration and scoured our inventory to find solutions for even the smallest spaces, be it the sliver of backyard behind your cozy craftsman or the cruise ship balcony suspended from your brand new microstudio. 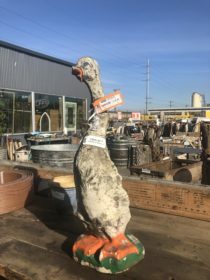 Browse some of our favorite garden inventory above and our favorite ways to put them to use below. 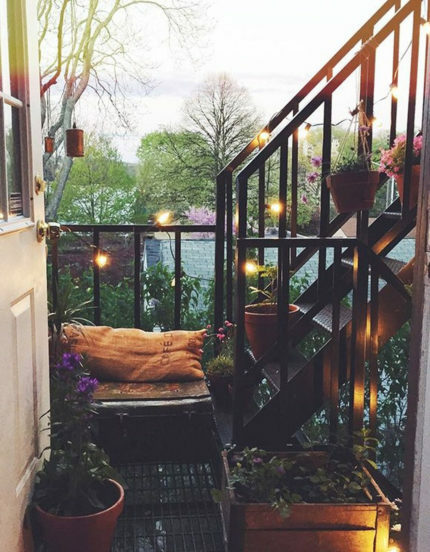 You don’t need an expansive porch to experience the relaxing benefits of slowing down and taking a seat. 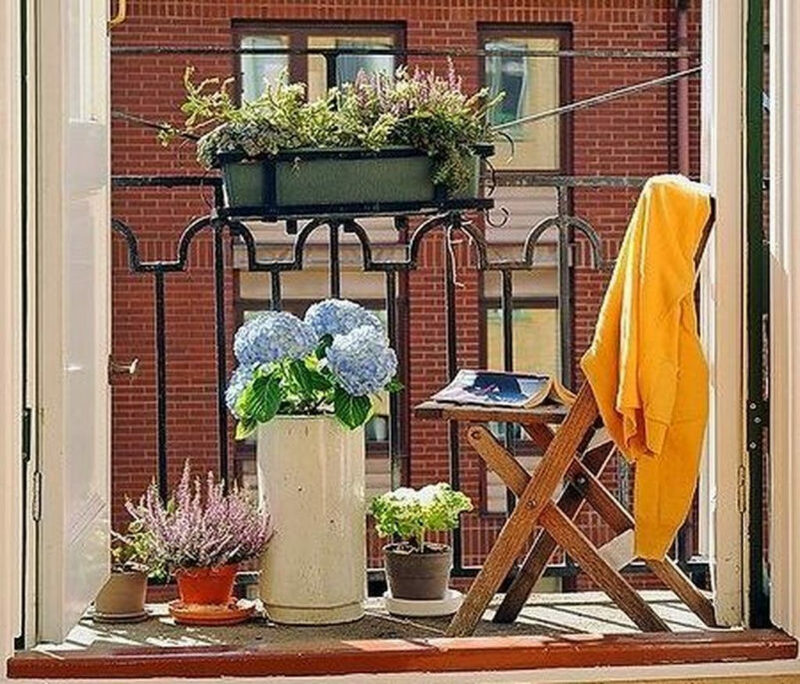 Spruce up your tiny balcony, unclaimed parking strip, or old school fire escape with a few plants and a single piece of furniture for an instant slice of solitude. 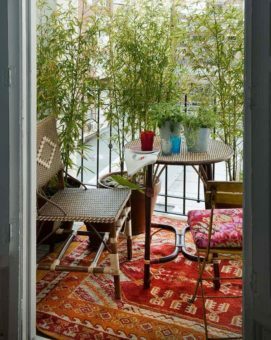 Design Tip: An outdoor area rug makes a space feel more defined while infusing color and style. If you’re diligent about bringing it inside after use (and before rain) you can use a retired indoor rug, but we don’t recommend using an heirloom! 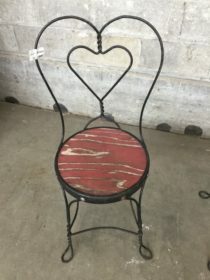 Second Use Tip: Single chairs are priced to move when they come through Second Use, so you can score some salvagey style without breaking the bank. Feeling creative? 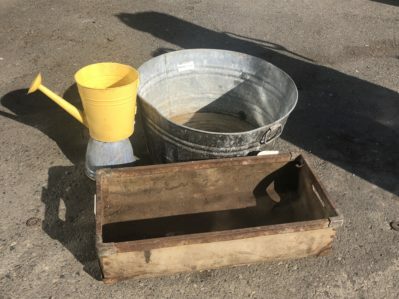 Revive it with a fresh coat of paint following this guide! 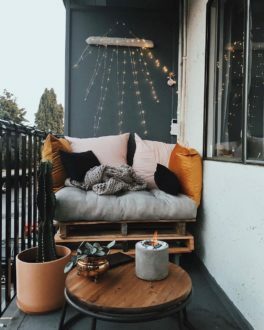 Double the impact of your outdoor space with a comfortable couch or hammock that allows long term lounging in the dry season. 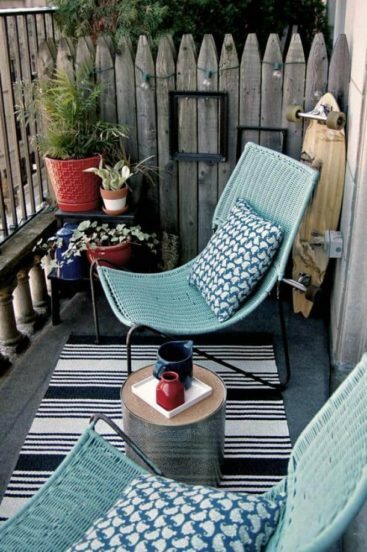 Design Tip: Living in a city home to the likes of REI, we have access to the latest in outdoor fabric innovations. Gone are the days of being restricted to function or form, weatherproof upholstery is now available in a wide range of colors and textures. Seattle Outdoor Fabrics on Aurora offers a wide selection of all weather textiles, check them out! Second Use Tip: Looking for an inexpensive covering with rustic appeal? We sell burlap sacks at both of our locations for just a $1.50! 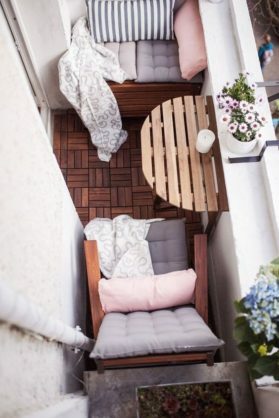 Take your work or brunch outdoors with one of these handy ledges that saves on space while double downing on functionality. 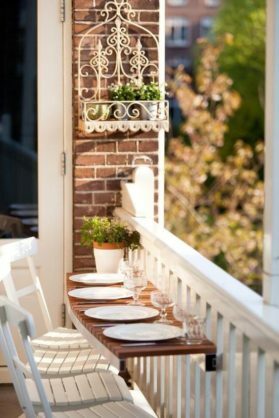 Design Tip: Use window boxes and mounted planters to display plants without sacrificing elbow room. Second Use Tip: Think beyond dimensional lumber when searching for a salvaged ledge: stair treads, shelving, and other architectural material may make the perfect ledge with just a few tweaks. Check out our architectural section for wood finishings as well as table legs, shelf brackets, and other details for your project. Complete the illusion of your oasis with privacy features that shields you from the reality that lies on the other side. 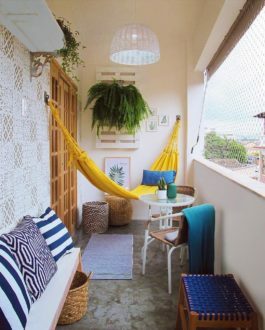 We love these plant barriers that lend truly submersive experience, but lattice, salvaged panelling, outdoor curtains, or good old bamboo blinds also do the trick. 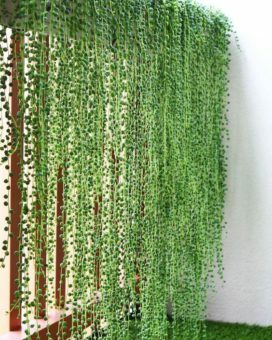 Design Tip: If growing a lush forest of bamboo or vines seems out of reach for your less than green thumb, you can use hanging plants and plant stands in front of your barrier to get a garden feel with less maintenance. 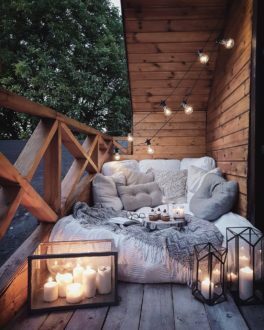 Second Use Tip: Buying cedar lattice, old gates, wood panelling, and retired fencing second hand isn’t just less expensive, but may be aesthetically more desirable with a little patina. 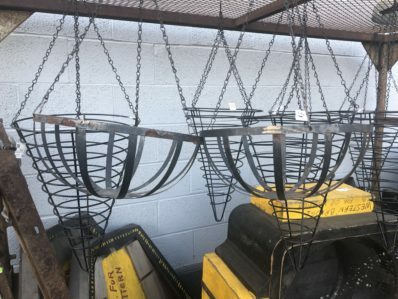 Browse our architectural category for gates, panelling, and other odds and ends but also check in store because one off pieces of flat stock may not get posted if they are less than $10.